Welcome to the Dakota County Regional Chamber! 1. Advocate for Dakota County businesses through effective public policy. 2. 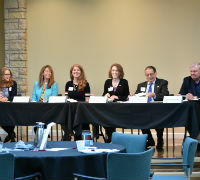 Brand Dakota County Regional Chamber of Commerce as the leading voice for the business community in Dakota County. 3. Position the Dakota County Regional Chamber of Commerce to achieve success through regional engagement and innovative programming. “What can the chamber do for my business?” Read about the many benefits of membership. 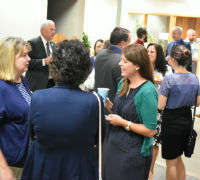 Join today and get connected with other chamber businesses to grow your business. We look forward to serving your business needs. Dakota County Regional Chamber of Commerce has announced their winners of the ninth annual WomEn’s Leadership Forum Women of Excellence Awards. The Dakota County Regional Chamber of Commerce is a Conduit for businesses, community stakeholders and partners to assist, promote idea’s and opportunities to ensure our region is successful, vibrant and thriving. 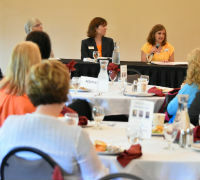 The Dakota County Regional Chamber of Commerce is a Connector for its members and partners to allow for business growth and opportunities to ensure businesses can connect with others. The Dakota County Regional Chamber of Commerce is a Conveyor of information and resources to ensure our member businesses can achieve success.